Nissy Stetson-Grace joined the SPEA undergraduate academic advising staff in 2016. 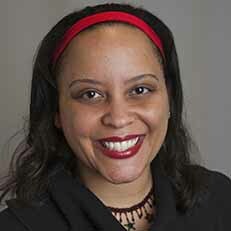 She has a bachelor's degree in English and African-American studies and a master's degree in public affairs from Indiana University. Before working at SPEA, Stetson-Grace worked at the Kelley School of Business for six years. In her spare time, she likes music, reading, spending time with family and friends, and discovering new and fun things to do in Bloomington. She believes that college is a special time to explore your interests and discover your passion and authentic voice.